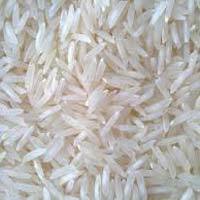 Basmati Rice is widely acknowledged for its enticing aroma owing to which it is highly demanded for making mouth-watering cuisines. Basmati Rice that we offer is processed under the most hygienic conditions and is free from adulterants. Our Basmati Rice is appreciated for its long grains, delicious taste, rich aroma, and longer shelf life.